CARFAX 1-Owner, LOW MILES - 8,305! EPA 24 MPG Hwy/18 MPG City! 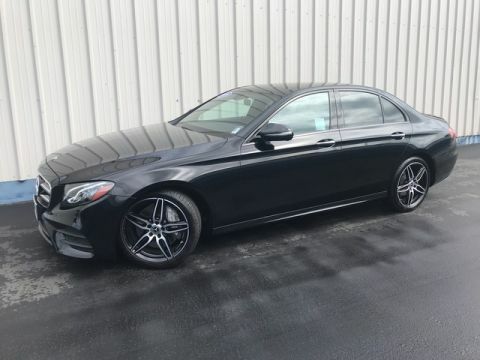 Sunroof, NAV, Heated Seats, DVD, Onboard Communications System, Power Liftgate, Satellite Radio, Full-Time All-Wheel Drive, Turbo, Alloy Wheels, PANORAMA ROOF CLICK NOW!======KEY FEATURES INCLUDE: Full-Time All-Wheel Drive, Power Liftgate, Turbocharged, Satellite Radio, Onboard Communications System. 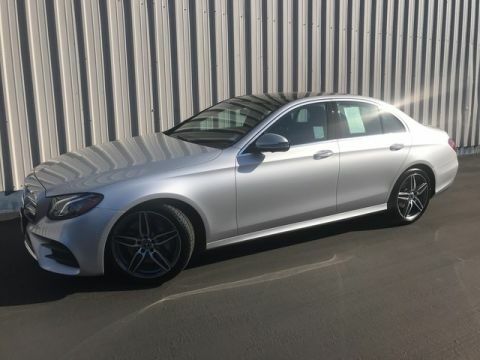 Privacy Glass, Keyless Entry, Steering Wheel Controls, Child Safety Locks, Heated Mirrors. 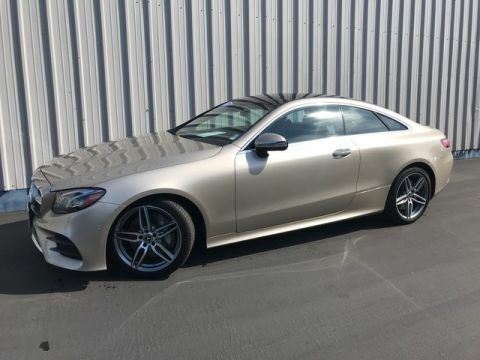 ======OPTION PACKAGES: PREMIUM DRIVER ASSISTANCE PACKAGE Speed Limit Assist, PRESAFE Brake w/Pedestrian Recognition, Driver Assistance Package (23P), Badging on Dashboard, DISTRONIC PLUS® w/PRESAFE Brake, BAS® PLUS w/Cross-Traffic Assist, PRESAFE PLUS Rear-End Collision Protection, DISTRONIC PLUS® w/Steering Assist, PRESAFE PLUS, Active Lane Keeping Assist, Active Blind Spot Assist, MULTIMEDIA PACKAGE Radio: COMAND® System w/Navigation, 8.4 high resolution LCD screen w/3D map views, enhanced voice control system, 10GB music register, single disc CD/DVD player, Gracenote album information including cover art, SD card slot, SiriusXM traffic and SiriusXM weather w/, COMAND® Single CD/DVD, Touchpad, Navigation Map Updates For 3 Years, DVD Coding, PANORAMA ROOF, ADVANCED PARKING ASSISTANCE PACKAGE HANDS-FREE Comfort Package, Parking Package, Surround View Camera System, HANDS-FREE ACCESS, PARKTRONIC w/Active Parking Assist, BURMESTER SURROUND SOUND SYSTEM, HEATED & VENTILATED FRONT SEATS. 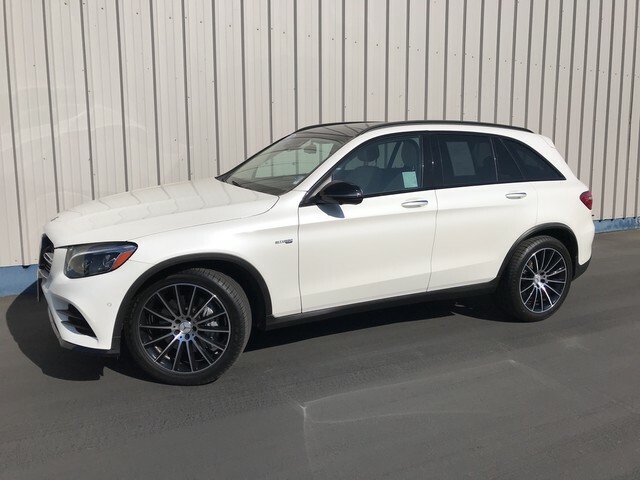 Mercedes-Benz AMG® GLC 43 with designo® Diamond White Metallic exterior and Silk Beige/Espresso Brown Leather interior features a V6 Cylinder Engine with 362 HP at 5500 RPM*. ======EXPERTS ARE SAYING: Great Gas Mileage: 24 MPG Hwy. ======BUY WITH CONFIDENCE: CARFAX 1-Owner Pricing analysis performed on 1/31/2019. Horsepower calculations based on trim engine configuration. Fuel economy calculations based on original manufacturer data for trim engine configuration. Please confirm the accuracy of the included equipment by calling us prior to purchase.